The Best Country & Most Fun! When this happens it will typically last for 22 minutes; what is it? The typical argument between couples lasts 22 minutes! 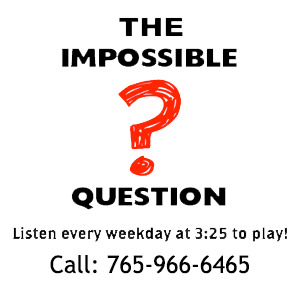 Congratulations to Cayenne Ervin of Richmond, IN for being the first to answer the Impossible Question!